WORKS QUICK: Cooling menthol crystals and emu oil gives you pain relief in minutes because of the fast absorption. Everything from arthritis pain, knee or hip pain, neck & upper back pain, lower back pain, foot, shin splints to ankle pain, shoulder pain, elbow pain to wrist or finger pain. Silly Goat’s Joint Pain Relief & Muscle Rub will make you FORGET ALL ABOUT YOUR PAIN FAST and get you back to doing all things you love to do. DEEP PENETRATING: The Emu Oil is what makes it work so much better than other pain relief creams, balms and salves. Emu oil is so close to the make up of human skin oil so your body accepts it and pulls it deep into your skin. Matter of fact it goes through all 7 layers of your skin. 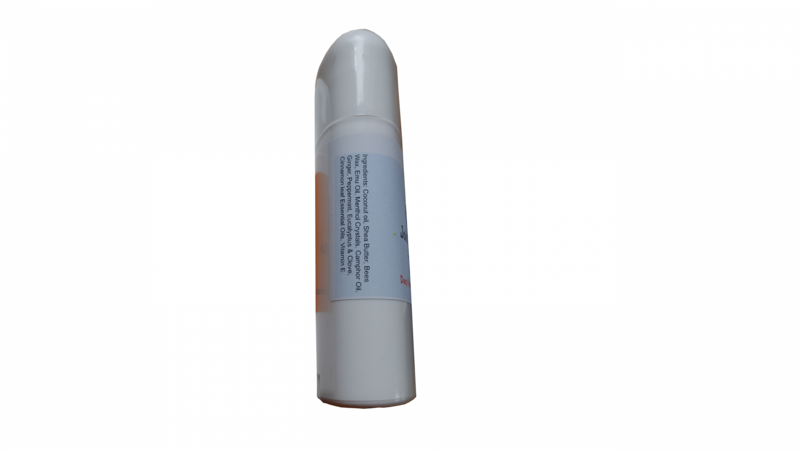 Unlike other pain relief lotions or creams, we add no water, so our formula is very concentrated. A little bit of our rub will give you a ton of relief. WORKS NATURALLY WITH YOUR BODY: If it can’t be raised on a farm we don’t want it in this! 100% OF OUR INGREDIENTS ARE NATURAL. What we’ve done is take the best plant oils and improved them with the addition of pure emu oil. What you’re going to get is pain relief WITHOUT other garbage like artificial preservatives, petroleum by-products, mineral oil, parabens, sulfates, artificial color or fragrance. FAST PAIN RELIEF: Made for everyday folks like you and me with all of our everyday aches and pains. Strong enough for athletes with strained muscles and joints. 100% MONEY BACK GUARANTEE: At Silly Goats Soap we stand behind our products and want you to feel that you spent your hard earned money well. If for some reason You don’t experience any relief & you are not happy with your rub, simply return your purchase & we will refund your money. 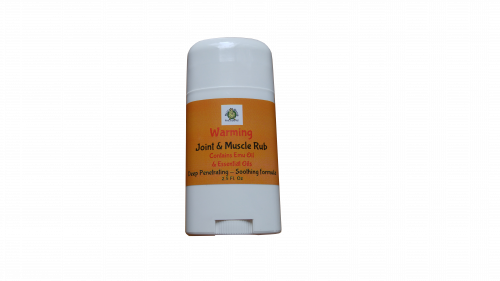 Ingredients: Menthol Crystals, AEA Certified Grade A Emu Oil, Coconut Oil, Shea butter, Upstate New York Wildflower Beeswax, Essential Oils of Ginger, Camphor, Clove, Cinnamon Leaf, Peppermint and Eucalyptus Oils & Tocopherol/Natural Vitamin E.
No water or fillers means you get just pure Joint pain relief & muscle relief in minutes. 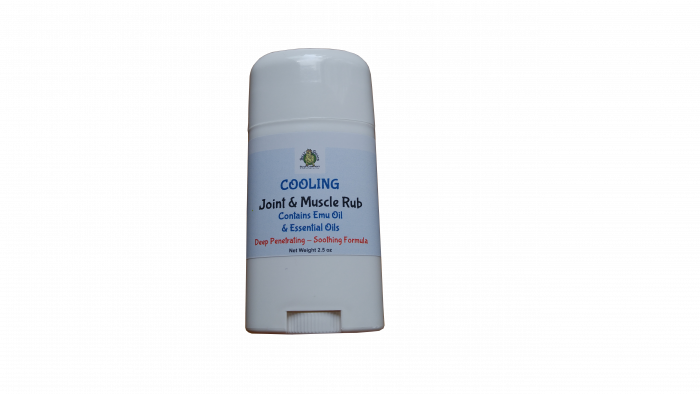 You are purchasing a tube of 2 fluid ounces of Cooling JOINT PAIN RELIEF. My teenaged son is very athletic and plays a variety if sports. I use many other Silly Goats products so when he complained of sore muscles I purchased him some of this rub. He loves it and says that it works much better than other muscle rubs. He now requests it by name. So if a teenaged boy can take the time to learn the name if a product, then you know it has to be good! Absolutely amazing! Works like nothing I have ever used before. The emu oil and essential oil blend helps my chronic back pain vanish. I love the cooling of the menthol in this too and it smells good too.